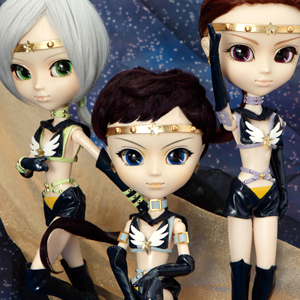 Everyone is horrified to see how Chibi Usa has been corrupted and transformed into the evil Black Lady. Luna P tries to communicate with her but Black Lady smashes it against a rock. Black Lady summons Prince Demande and Safir who attack Sailor Mercury, Mars, Venus and Jupiter and manage to trap them in magical black crescent moon-shaped fields. The hypnotised Tuxedo Mask then appears and is commanded to attack Sailor Moon. He does so and hits her with her Cutie Moon Rod which was created from their love. 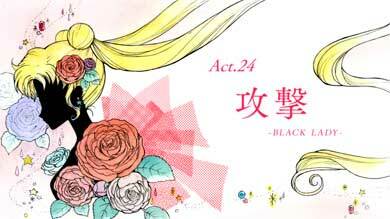 Tuxedo Mask and Black Lady then kiss and Black Lady claims that he is hers. She then creates a third black crystal and smashes it into the planet. Several buildings in Crystal Tokyo begin to disappear. Wiseman appears and begins to gloat. Prince Demande reveals that his third eye, given to him by Wiseman, made him strong enough to resist his mind control. Black Lady sends Safir after Demande but Demande destroys Safir with one blast from his eye. Demande then blasts Wiseman’s body and seemingly kills him. Sailor Moon begins to focus and draws power from the Crystal Palace which begins to glow brightly. Back at the Space Time Door, Sailor Pluto senses a disturbance and wishes that she could help everyone. She remembers a time in the past when she was asked by Queen Serenity to protect the Space Time Door at all costs and that she must never let people walk through it or leave her post. In Crystal Tokyo, the planet Nemesis suddenly appears and it’s revealed that Wiseman’s soul has merged with it. He begins to attack the Crystal Palace and Sailor Moon tries her best to stop him. 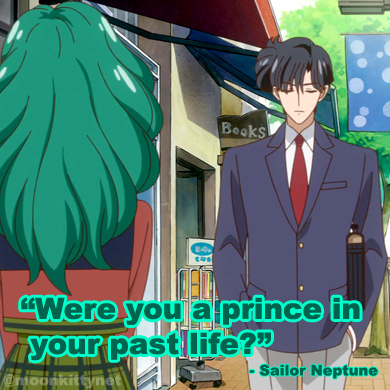 Diana begins to panic and runs to Sailor Pluto. She tells her that she must help Sailor Moon and that she’ll take her place as guardian of the Space Time Door. Sailor Pluto leaves her post for the first time in centuries and is shocked when she sees the devastation and Chibi Usa’s current form. 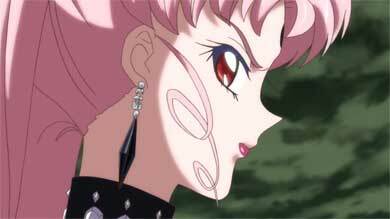 Sailor Moon, not wanting to hurt Black Lady, stops defending the palace and offers to give her the Silver Crystal. Tuxedo Mask rips Sailor Moon’s Crystal Star Compact from her chest, transforming her back into her civilian form. For a moment the power of the crystal and rod weaken the mind control spell on him but he almost immediately falls under it again. Tuxedo Mask gives the crystal to Black Lady who holds both past and present versions up in celebration. Suddenly, Demande steals them from her and announces he’s going to merge them together, which would destroy the entire planet. 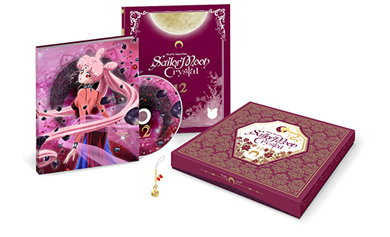 More Sailor Moon Crystal Blu-rays and DVDs in the shopping guide.